Discussion in 'Alternative Treatments and Research' started by calin, Apr 24, 2012. I am using this section to keep the peace as it is an alternative therapy. So, with that being said, I will tell you what I am doing to help with my tinnitus that I haven't discussed anywhere on this site. If it can help someone else, I will be pleased and will feel that it had some benefit. First of all, meditating when you have tinnitus is very very difficult. It is hard to get peace of mind when the annoyance of tinnitus interferes with the meditative practice. QUIET is a must for most people and there is no quiet with tinnitus. Now that my tinnitus is low enough, I find more time and for longer periods to clear my mind and alternate back and forth between hearing the tinnitus and reaching a state of pure awareness - or free of thought if that makes more sense to you. This practice softens the irritation and stress and is relaxing. I also believe healing takes place each time I can do this for longer periods at a time. I notice the intensity demising minutes or hours following this. I started this more regularly recently as I was not as frustrated as much since the volume reduced enough to not be a barrier to my "quiet mind". I am an experienced Quantum Entrainment student. But, I am not suggesting anyone learn it. However, there are some techniques that is like meditation that Dr. Frank Kinslow has for FREE on his site that will help with what I am talking about. I suggest that the more you do this, the better and calmer you will feel. I suggest that you pick a word like silence or calm or peace for this exercise. After doing this a couple of times, you may be able to slip into a relaxed state just by using the "word" you chose when your attention is on the tinnitus and you feel you can't escape. I guess you will have to do the exercise to see what I am talking about. I do this when I am driving. I practice being aware of the tinnitus and then quieting my mind which results in a nonresistance and peaceful state.... even for only a couple of minutes at first. A suggestion - if you can't stand doing this as the tinnitus disrupts your ability practice this technique, try playing white noise or your favorite rain or ocean cd in the background. Or you could turn on the hairdryer or vacuum to drown out the tinnitus sounds to practice the Gate Technique. Even if you take a relaxer drug, doing this will only benefit you. I will add more on this later. Give it a try and see if it relaxes you, or, at best, lowers your perception of the tinnitus sound. When I speak of the experience of "pure awareness" this exercise will help you get a sense of that state. This is very relaxing as well. Thanks, Calin! This technique is very similar to one I've experienced at meditation and yoga classes I've taken. I think it really helps, and it certainly takes one's mind off the tinnitus. This is great; I'll listen to it again this evening during the loudest phase of my tinnitus. I'm sure this will help a lot of us! I think this would be better suited for the Treatments category rather than General Chat. This may help with meditation or just background to take the edge off. Let me know what you think! Hi I am a musician and as a result of years of sound abuse I suffer from Tinnitus in my left ear. It ranges from a hiss to high-pitched noises. I have made up a video that helps my tinnitus and hope it might help you too. I used a soft sounding white noise and a low relaxing background synth sound that compliments the white noise. What's the difference between this video and others on the net? The difference I find that all the others are too short, badly recorded too many bangs and cracks going on, no fade in's and stuff like that. This video is consistent; there are no loud or low peaks to startle you. It fades in and fades out slowly. This way it gives your ears time to adjust to the sounds. I have used some audio filters to smooth out the sound and the result personally good for my ears and I find that after using the video I don't notice it as much. It is a very good way if you want to block out the world around you and meditate, relax or study. This is not a cure but I hope it will be of some relief to you. Please leave a comment and let me know how you get on with it. Maybe some sufferers will need louder white noise or less so if you have any suggestions let me know and maybe I can make more to suite your needs. Best to use head phones! J Formos Med Assoc. 2010 Oct;109(10):694-701. Liou CH, Hsieh CW, Hsieh CH, Chen DY, Wang CH, Chen JH, Lee SC. Interdisciplinary MRI/MRS Laboratory, National Taiwan University, 1 Section 4, Roosevelt Road, Taipei, Taiwan. Some research has shown that melatonin levels increase after meditation practices, but other research has shown that they do not. In our previous functional magnetic resonance imaging study, we found positive activation of the pineal body during Chinese Original Quiet Sitting (COQS). To find other supporting evidence for pineal activation, the aim of this study was to evaluate the effect of COQS on nighttime melatonin levels. Twenty subjects (11 women and 9 men, aged 29-64 years) who had regularly practiced daily meditation for 5-24 years participated in this study. All subjects served alternately as participants in the mediation and control groups. COQS was adopted in this study. Tests were performed during two nighttime sessions. Saliva was sampled at 0, 10, 20, 30, 45, 60 and 90 minutes after COQS and tested for level of melatonin. Time period effect analysis and mixed effect model analysis were preceded by paired t test analysis. In the meditation group (n = 20), the mean level of melatonin was significantly higher than the baseline level at various times post-meditation (p < 0.001). Within the control group (n = 20), the mean level of melatonin at various times was not significantly different compared with baseline (p>0.05). These results suggested that the melatonin level was statistically elevated in the meditation group and almost unchanged in the control group after nighttime meditation. The urine serotonin levels detected by measuring 5-hydroxy-indole-3-acetic acid levels were also studied, but no detectable difference between the groups was found. Our results support the hypothesis that meditation might elevate the nighttime salivary melatonin levels. It suggests that COQS can be used as a psychophysiological stimulus to increase endogenous secretion of melatonin, which in turn, might contribute to an improved sense of well-being. More recent studies have looked at the neurochemistry of meditation. Meditation has been shown to increase serotonin production. Serotonin is an important neurotransmitter and neuropeptide that influences mood and behavior in many ways. Its importance is demonstrated by the recent explosion in use of fluvoxamine, a " selective serotonin re-uptake inhibitor" like Prozac, Paxil, and Zoloftsuch, for treating depression-related emotional disorders. Low levels of serotonin have been linked to a variety of disorders. For example, conditions associated with low serotonin levels include: depression, obesity, insomnia, narcolepsy, sleep apnea, migraine headaches, premenstrual syndrome, and fibromyalgia. Alpha patterns are associated with calm and focused attention; Theta patterns are associated with reverie, imagery, and creativity; high Beta activity is associated with highly focused concentration. It was therefore argued that meditation contributed to a calm, creative, and focused pattern of brain activity which resulted in a person with these same qualities. Other early research indicated that meditation produced an increased hemispheric synchrony, which was correlated with creativity, and decreased habituation, which was claimed to indicate a "freshness of perception," although studies on these last two areas provided mixed results. Meditation has also been associated with increased melatonin availability. Melatonin is also an important neurotransmitter and neuropeptide that influences mood and behavior. It is derived from serotonin. Melatonin has been linked to regulation of sleep, and early research indicates it may have anti-carcinogen and immune system enhancing effects. Meditation is the study of techniques to help regulate the brain functions that affect our moods. The brain is the control center of the body. External stimuli perceived by the sensory organs are routed to the brain, and the brain reacts by releasing hormones that act as chemical messages to various organs throughout the body and by sending electrical signals that control the muscles. Physical or mental stress trigger the release of adrenaline which causes an increase in the rate and strength of the heartbeat resulting in increased blood pressure. In contrast, pleasant experiences have a calming influence that lowers blood pressure. Scientific skepticism. Meditation has been practiced for centuries by mystics and religious sects. Many types of meditation make use of mental images that help to focus the mind on specific targets, but which have no basis in science. Taoists believe that the fire energy of the heart flares upward clouding the mind when emotions are not controlled, and through meditation the flow is reversed. In yoga philosophy, there are six major chakras which are centers of energy within a central channel that lead to a seventh chakra at the crown of the head. The non-scientific nature of these dogmas caused scientists to discount the beneficial claims for meditation until it became evident that there were measurable biomarkers. Scientific Studies. Meditation has been studied scientifically only since the 1970s. Scientific studies focus on the measurable physiological and chemical changes of a subject without regard to the philosophy or religious nature of the imagery used to achieve the meditative state. It is now generally accepted that meditation has some beneficial effects, but the biochemical mechanisms have not been fully identified. It is thought that meditation may influence neurotransmitter chemicals in the brain. One study found that advanced meditators have higher melatonin levels than non-meditators, but that melatonin decreases during long meditation. Serotonin declines after both one-hour meditation and rest, indicating that serotonin may be a marker of general rest and not meditation-specific relaxation. Scientific studies have not always been conclusive in favor of meditation. An evaluation of a work site relaxation training program using ambulatory blood pressure monitoring found that the stress management techniques decreased the diastolic blood pressure variability of asymptomatic workers. However, unlike previous studies, no reductions in laboratory blood pressures nor in psychologic symptoms were found. Hormones have also been proposed as being responsible for the relaxed feelings induced by meditation. One study suggests that just as maternal oxytocin levels are raised by somatosensory stimulation during breastfeeding, oxytocin may also be released by stimuli such as touch or warm temperature in plasma and in cerebrospinal fluid. Consequently, oxytocin may be involved in physiological and behavioral effects induced by social interaction in a more general context. Because of the special properties of oxytocin, including the fact that it can become conditioned to psychological state or imagery, oxytocin may also mediate the benefits attributed to therapies such as hypnosis or meditation. These studies are just a few examples of the dozens of research papers that are being published yearly in refereed scientific journals on the effects of meditation. Other studies use a variety of instrumentation, from electroencephalograms (EEG) to computed axial tomography (CAT) scans, in an effort to identify the areas of the brain that are active during meditation. The safety of meditation, which has been reported to induce epileptic seizures, is also being studied. In addition to fundamental research, there are many experiments evaluating meditation as part of complementary and alternative medicine in pain management, for prevention of recurrence of suicidal behavior, and for the reduction of anxiety in terminally ill patients. Transcendental meditation is a technique of meditation of Hindu origin that promotes deep relaxation through the use of a mantra. A mantra is a verbal formula that is repeated in meditation to maintain concentration while not focusing intensely. Concentrative meditation focuses the attention on the breath, an image, or a sound (mantra), in order to still the mind and allow a greater awareness and clarity to emerge. The simplest form of concentrative meditation is to sit quietly and focus the attention on the breath. Breathing provides a natural object of meditation. There is a direct correlation between breathing and the state of mind. The breath is typically shallow, rapid, and uneven when a person is anxious, frightened, agitated, or distracted, whereas it tends to be slow, deep, and regular when the mind is calm, focused, and composed. By letting the mind become absorbed in the rhythm of inhalation and exhalation, your breathing will become slower and deeper, and the mind becomes more tranquil and aware. In certain brain wave frequencies the brain releases numerous highly beneficial substances, including (HGH) human growth hormone. As we become older, the brain creates lesser quantities of these beneficial substances and we therefore develop various ageing symptoms and diseases. Recent research performed by Dr. Vincent Giampapa, M.D., a prominent anti-aging researcher and past-president of the American Board of Anti-Aging Medicine, revealed that regular deep meditation dramatically affects production of three important hormones related to increased longevity, stress, and enhanced well-being: cortisol, DHEA, and melatonin. Melatonin increases were even more astounding, with average increases of 98% recorded. Many participants even had increases of up to 300%. On the other hand, cortisol levels declined by an average of 47%. Of course, not all study participants showed the same results, but about 70% of the study participants recorded the above improvements. Cortisol is the major age-accelerating hormone. Cortisol is the "stress hormone," and the more of it you have, the more stressed you feel...the more vulnerable to disease you are and the faster you age! Another hormone, DHEA, is also produced by your adrenal glands. DHEA is a precursor, or source ingredient, to virtually every hormone your body needs. DHEA level is a key determinant of physiological age and resistance to disease. When levels are low, you're more susceptible to aging and disease; when they're high, the body is at its peak—vibrant, healthy, and able to fight disease successfully. DHEA acts as a buffer against stress-related hormones (such as cortisol), which is why as you get older and make less DHEA you become more susceptible to stress and disease. New research also reveals that Melatonin is a powerful antioxidant. Melatonin is a ubiquitous neurohormone whose production is low during the day and high at night. It passes through cell membranes and acts as a highly potent antioxidant to scavenge free radicals that cause damage to DNA, Reiter (1995). Hence melatonin reduction is involved with diseases produced by free radicals, including cancer, aging, neurological diseases, acute heart disease and heart attack, Reiter and Robinson (1995). The circadian cycle involvement of melatonin shows that reduced melatonin will alter blood pressure and heart rate, neurological cardiopulmonary and reproductive functions. It suggests that reduced melatonin will also reduce immune system competence and enhances the risk of cardiac, neurological and carcinogenic disease and death through reducing its antioxidant activity. These predictions are checked against clinical studies. Reiter and Robinson (1995) and Brzezinski (1997) reviewed the clinical studies involved with reduced melatonin. Dr Brzezinski identifies roles for melatonin in sleep and circadian rhythm, mood, sexual maturation, reproduction, cancer, immune system response and aging. Dr Russell Reiter, an eminent melatonin researcher, is the founder and editor-in-chief of the Journal of Pineal Research. Reiter and Robinson confirm all of the effects identified by Brzezinski, and add arthritis, asthma, diabetes, hypertension, blood clotting and stroke, cardiac arrhythmia, ischemic heart disease, heart attack, epilepsy, manic depression, suicide, sudden infant death syndrome (SIDS), Alzheimer's and Parkinson's Diseases. 21 associated conditions relate to the oxidative damage by free radicals and melatonin's multiple roles as a potent antioxidant, sleep enhancer and immune system booster. Meditation increases the production of serotonin which is a calming neurotransmitter in the brain. It is within delta that our brains are triggered to release great quantities of healing hormones, one of which is human growth hormone (HGH) which we make less of as we age, resulting in many symptoms and diseases associated with aging. HGH is one of the reasons kids have endless energy—their pituitary glands spew out heaps of the stuff! Unfortunately, your body produces less HGH as you get older—as much as 50% less by our late 50s. But HGH injections are dangerous, expensive and can cause frightening side effects!! Now you know you can produce HGH and many other healing hormones, naturally and safely with a little daily LifeFlow meditation. Interesting that you mention DHEA. I took a low dose (5 mg) of DHEA for a least 4 years. Last October, I stopped taking DHEA, cold turkey. My tinnitus kicked-in in December. I've wondered if there is a causal relationship. I really think taking aspirin was to blame, but it's hard sorting out a specific cause. Just a word of warning for those of you who are thinking of taking DHEA as a supplement: It's a hormone, and you shouldn't take too much of it. You can find DHEA at most pharmacies, but it's typically 50 mg, which is far too much. The danger is it may cause arythmia. 5 mg is considered a low dose. However, I am so glad you shared that bit of DHEA personal experience. hmmm... something to think about. Smiling is a great way to make yourself stand out while helping your body to function better. Smile to improve your health, your stress level, and your attractiveness. A happy smile, whether you're actually feeling happy at the time or not, releases endorphins, serotonin and other biochemical substances in the body. Working in harmony, the effect of these changes in body chemistry is that we quickly start to feel happier. So, offering a smile at any time will clearly uplift one's mood and cultivate a more frequent state of happiness. Take advantage of this knowledge and make it a point to practise giving a happy smile whenever you can. When you make eye contact with someone, offer a happy smile and see how that lifts the mood of both you and the recipient of the smile. When you're feeling in any way not on top of your form, smile for a while to boost your mood and energy levels. As soon as you feel the slightest negativity starting to surface in you, take the conscious decision to smile a while, and see what happens. Decide this minute that from now on you will smile as often as you can, not only when you're alone, but also when you're in the company of others. Watch how your life changes, how things go more easily for you, at home, work and socially. The Alexander Technique may help some with the tension that arises having tinnitus - or even is due to the tension in the neck, jaw etc. I have skimmed through many videos and sites about this technique which involves a holistic way of managing your body structure, tension relief, and mind, etc. . A body-mind approach so to speak. I know I need to improve my posture while sitting at the computer and while sitting down, walking and in general moving about. After viewing many videos, I now automatically un-tense my muscles that were habits. I feel calmer instantly when I practice some of the techniques I found viewing the videos. Here is one site with information from an Alexander Technique web page. I will post some videos so you can get the sense of it. Many actors and musicians use this technique. The Mayo Clinic give classes on it. Google did a whole presentation on it for their employees. What is tinnitus? Why me? "If only I had known this when my noises first started it would have made a world of difference to my life" —— from a helpline caller. 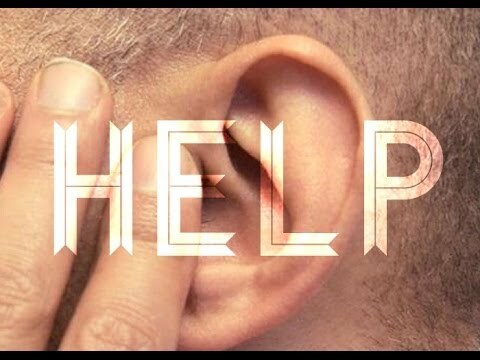 Tinnitus is the sensation of a sound, not audible to others, often described as a continual ringing, buzzing or whistling in the head or ear(s). It is usually due to a very minor disorder of the hearing system, sometimes associated with ageing and/or noise exposure. Slight changes in the system may be sensed as tinnitus. Although the noises are harmless, we know from personal experience tinnitus is sometimes very distressing (to say the least) but it is not life threatening and the quality of your life can be recovered. Most people who are upset by their tinnitus learn to manage it through self-help. However it may take time, so don't feel disheartened. A visit to your doctor will usually reassure you that there are no underlying medical conditions you may be worrying about. It helps if you understand the system. Sound reaches you as waves in the air and is converted by the inner parts of the ear (cochlea) to nerve signals. These minute electrical signals pass up the hearing nerve to the first part of the brain which sorts out what is immediately important and usually ignores most unwanted sound. Tinnitus is a perception of an unwanted internal noise that is often persistent, especially in sensitive people. Imagine a new clock. At first the gentle ticking is very audible. Gradually you are no longer aware of it yet a friend remarks on the loudness. You have habituated to it, i.e you are no longer conscious of it, whilst to the friend it is a new sound; it can be irritating and even threatening. The same habituation occurs on trains - one soon ignores the track noise! Similarly, pleasant sound of gentle waves at the seaside is soon ignored. The hearing system is quite magic - but sensitive - especially in sensitive people. We learn to ignore mother's heartbeat and other bodily noises in the womb because we are in a cosy trouble-free place and the noises are soon familiar, unimportant and not a threat! Later we enjoy rhythms, melodies and harmonious sounds often with a beat. We can distinguish familiar sounds in a great hubbub of other sounds such as our name in a crowd or baby's cry above the telly or even a single musical instrument in a full orchestra. Unfortunately, this natural selectivity can be disturbed by life's events, especially in sensitive people, and this wonderful facility may cause unwanted noises to dominate, at least until the system is retrained to ignore them. The hearing system can automatically turn up the volume (gain) when we want to hear something or are anxious about some sound. Unfortunately it turns up unwanted noises too! Often, ageing tends to reduce the hearing capacity for external sounds, so that internal sounds can be noticed, when previously they were not. Physical or mental shock can also disturb the whole system. Exposure to loud noise, especially sudden noise (e.g. gunshot, disco) can also overstress because the hearing system needs time to turn down its sensitivity. In time the resulting acute perception of sounds, either the tinnitus or external sounds (hyperacusis) or both, subsides naturally but sometimes the acute phase persists and therapy is necessary to assist retraining of the system to to regain its autonomic skill. Tension caused by worry about your tinnitus is natural, so learning to relax is vital part of the relief process. The noises in your head often create a vicious cycle of tension and worry about the cause and the effect on your lifestyle. But YOU CAN break this circle! Remember your hearing system wakes up first, sleeps last and is always alert. Tensions cause your hearing system to go on full alert (like a violin string!). Relaxing the rest of your body lets the hearing system calm down. To relieve the tension in your body, use simple relaxation exercises that involve consciously telling your body to relax. Find a comfortable position. Now breathe in slowly and clench your fist. Feel the tension in your hand and wrist. Now breathe out, and as you do so relax your hand and feel the difference. Repeat this by tensing and relaxing each group of muscles in your body in a systematic way. Check that you don't have hidden tensions that keep your hearing system tense. (Think relax 24/7 365 days a year! A suitable tape helps, like 'Listen & Do' from HUSH. Once you have tensed and relaxed all the major groups of muscles just rest and breathe quietly for a while. It will take practice and time to feel the full benefits. You can practice quiet relaxation at any time because it helps if you keep each part of your body as calm as possible. Some people find aromatherapy, massage, reflexology or learning the Alexander technique, Yoga or Tai Chi to be helpful. The key is to find what helps you the most and practice it often, at least daily. At HUSH we find that improving posture can also help with some forms of tinnitus. Learning the Alexander Technique, especially the semi supine position can be helpful. Find a simple book such as the New Life Library publication by Michele Mac Donnel or a teacher. We have a simple leaflet. From experience we have found it is possible for the tinnitus noises to gradually recede into the background so that we are no longer aware of them. You may find this hard to believe - we did! Doctors call this natural habituation. It can be enhanced using a medically prescribed sound generator or through self help using pleasant low level sounds (such as gentle sounds of the sea!) from radio, cassette, CD player or other sound source. The level of sound needs to be just below that of the tinnitus. It is important to avoid long periods of silence. The use of comforting background sounds, either in the room or via in-ear phones, 3-4 hours or preferably more a day and at night, focuses attention away from the tinnitus and speeds up the process of rehabilitation to the tinnitus. Remember, an addition to room level sounds may annoy others so treat ?yourself to some good in ears, a personal stereo that you can carry about and even play when watching television, walking or enjoying other pursuits, even at work. You will need a battery charger! Tinnitus can be compared to sustained faulty piano notes that cause a continuous sound. The use of a wide band of sound provides the rest of the keyboard as a pleasant and undemanding low volume background, and makes the faulty sound less intrusive. We suggest the tranquil sounds of gently lapping waves as the known sound that gradually fades into the background. We are often asked for help in getting rid of these pesky sounds. This is the gist of our comments. All tinnitus can be distressing and, as for all tinnitus, there are no universal short cut medical treatments — but our usual experience is that pulsing head noises can be relieved. Sometimes the sensation can be at heartbeat pace or a multiple of it — even to the point of a sort of irritating ticking sound. The proximity of major blood vessels to the hearing mechanism appears to cause a physical transmission related to pressure of blood flow. This can be exacerbated by any irregularity in blood flow. Experience has shown that pulsating tinnitus can also be influenced by changes in throat, neck and head posture and any external pressure on the area. The nature of constant tinnitus can also sometimes be influenced by posture and external pressure changes including atmospheric pressure. Occasionally irrgularities are produced by the electrical circuits in the inner ear mechanism. Whatever the cause, practical experience has also shown that self-treatment can give good results. Even a simple change in sleeping position or number and composition of pillows can be effective. Pulsatile problems are sometimes more prevalent with age and are more evident when we are unwell. It is likely that the inevitable wear and tear on the upper vertebrae may cause a shortening of the neck such that the disposition of blood vessels brings them closer to the hearing system. A prime suspect is the main artery, passing about 6 mm from the cochlea. At the same time the muscles maintaining the neck position and supporting the head can become weak, further worsening the situation. Correction of this physical situation and reduction or even elimination of pulsatile tinnitus from this cause lies in a combination of 1) relaxation and 2) strengthening the neck muscles. Typically the Alexander Technique semi-supine position with simple gentle head roll exercises can achieve this. A HUSH leaflet explains this procedure. Personal experience, supported by feedback from many others, confirms that it can be very effective in virtually eliminating pulsatile tinnitus from this source and is helpful for all tinnitus. It is important to maintain good posture and muscle tone especially of the head, shoulders and neck. As ever, care must be taken to habitually de-stress ALL of parts of the body at all times in addition to any specific training sessions. Below is instruction for the semi-supine position referenced above. How semi-supine can help improve your posture and your back pain. Alexander Technique - The "Whispered Ah"
Non-Ototoxic Nose Sprays? Is Polydexa (Neomycin + Polymyxin B + Dexamethasone) Safe?